It is a cultivation set that raises a smile. 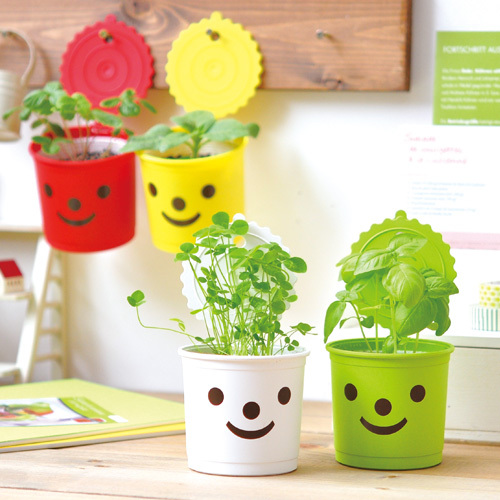 The growing pot that makes people smile unexpectedly happy when their eyes match. Since the lid has a hole for wall hanging, it can also be installed on the wall and raised.